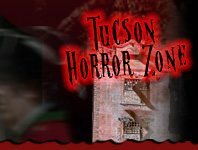 At Schools, on Main Streets, and even at Haunted Attractions across Tucson, there will be Safe Trick or Treat Events held for local children this Halloween Season. Safe Trick or Treating Events offer kids the opportunity to dress up & have fun this Halloween Season is a fun, safe environment, so parents can relax and enjoy Halloween as their little ones collect their candy haul. These events are especially good for the littlest of trick or treaters, who may not be old enough to go door to door, and might be afraid of the scarier costumes seen walking about on Halloween Night.